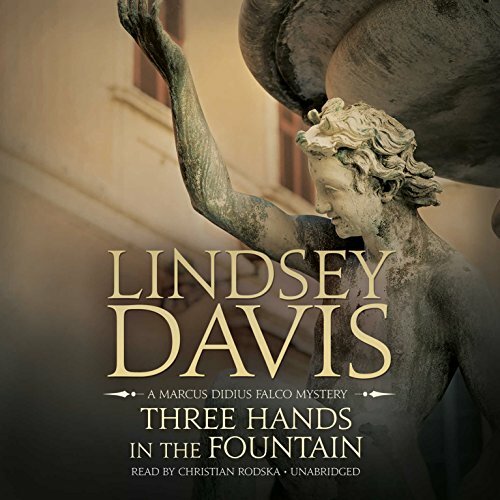 Marcus Didius Falco and his laddish friend Petronius find their local fountain has been blocked - by a gruesomely severed human hand. Soon other body parts are being found in the aqueducts and sewers. Public panic overcomes official indifference, and the Aventine partners are commissioned to investigate. Women are being abducted during festivals, and the next Games are only days away. As the heat rises in the Circus Maximus, they face a race against time and a strong test of their friendship. And they know that the sadistic killer lurks somewhere on the festive streets of Rome - preparing to strike again. 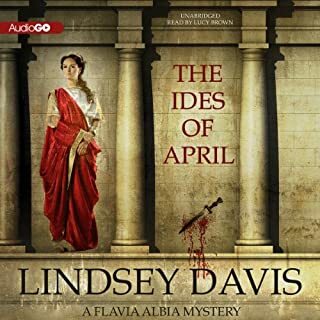 Friends, Romans, countrymen, lend us your ears: listen to more Marcus Didius Falco mysteries. LIght hearted detective fare with a twist. These books are a great, well researched glimpse into the day to day life of a Rome which we usually view only through political or military glasses. The plotting is very tight and the characters grow on you as you move from book to book. 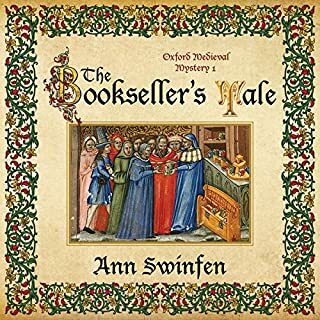 Recommended for anyone who loves being set down in a fascinating historical milieu and knocking around for a while while unraveling a juicy murder mystery. The narration by Christian Rodke is consistently excellent and adds a good deal to the charm of these books. Falco, his wife and family are amazing. the characters have grown since the start and the development has been getting better. There is humor and brutality, but the mysteries, always keep me intrigued. I enjoy historical novels and this series very much. 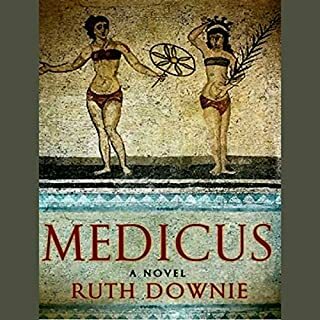 This is a delightful book and a delightful series, for anyone who likes the Ancient Rome setting for mystery novels. Christian Rodska is an amazing narrator. He can make many different regional accents so I don't have any trouble telling the characters apart. Lindsay Davis writes about Marcus Didius Falco, P.I. (Public Informer), who is married to the daughter of a senator. 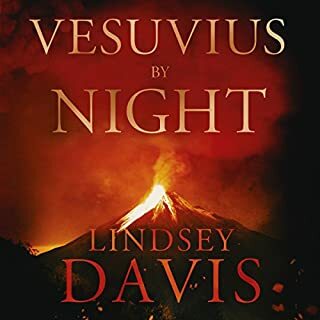 Davis' descriptions are entertaining and informative, and the portrayals of family life in Ancient Rome are unique in the genre. loved this book. it was so suspenseful that I actually caught my breath as my heart pounded with fear. 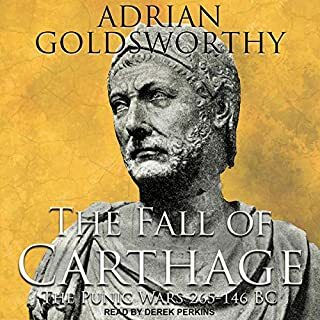 I've been reading (listening) my way through the M. Didius series and this is far and away the best one so far. I'm a sucker for serial killer thrillers and Davis wrote this one to perfection; I was on tenterhooks at the conclusion. My Roman scholarly history ended with high school Latin, but one can assume the historical accuracy of Roman knowledge of abnormal psychology and their ability to hunt down a serial killer is overstated for entertainment purposes. This is the first book that's not narrated by Simon Pebble and I'm so disappointed this is the only one!! Mr Pebble does a fine job, but I loved the different voices and accents used here. Falco is a poor man running in both aristocratic and uneducated circles; I found the coarser accents really brought the setting to life. Suspend your disbelief and get ready to learn about the water supply of ancient Rome! Rodska is the best Falco. Great story. Masterful narration. I've listened to this at least 10 times and it's still an amazing story. Falcon and Petro have Cockney accents and the cast in general are portrayed as a lot slower and dimmer than they have appeared to me when reading the books or listening to other narrators. I'm finding it very painful to listen to. glad I could find this book in the series on audible since I could not find a physical nor ebook version of it. While Simon Prebble, who does most of the books in the series, does an excellent job, I find that Christian Rodska does a superb job bringing the sarcastic and witty part of Falco to.life. I have read the Falco series from start to finish but only recently started with the Audible versions. This was always my favorite novel and I was not disappointed. I believe Christian Rodska’s narration greatly adds to the enjoyment. This is Falco the working class lad making good and remaining his outrageous self. I was thrilled that my favorite supporting character, the engineer Bolanus, was given a Tyneside accent. Mr Rodska nailed this difficult accent so perfectly I actually looked him up on Wikipedia to discover that he grew up in Cullacoats on the Northumbrian coast. 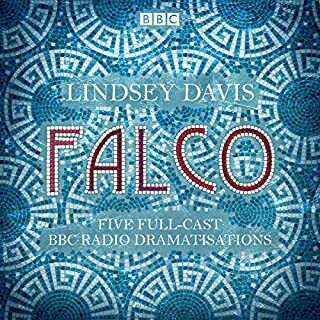 While I admire the narrator’s use of regional accents to give voice to different characters, I should also mention that I find his pronunciation of names and Latin terms is generally much more appealing than the renditions by other narrators of the Falco and Flavia Albia novels (some of them are truly cringeworthy).